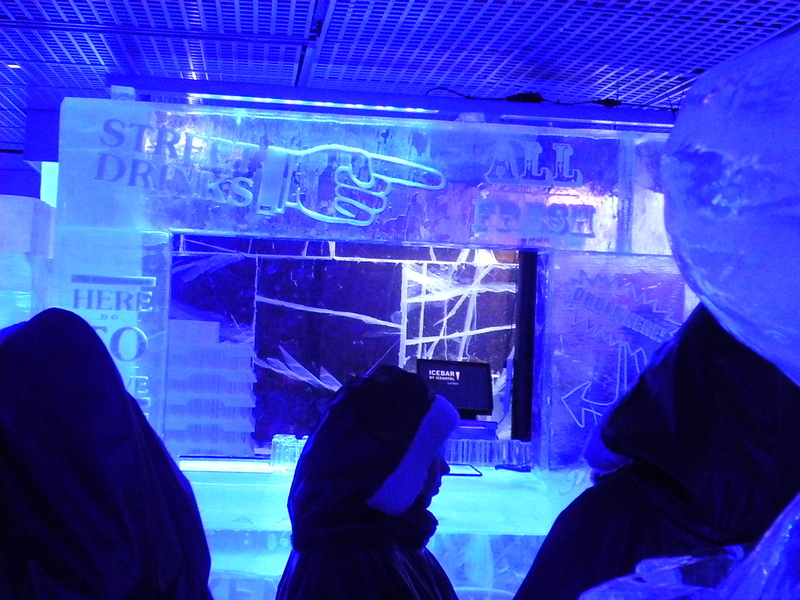 ICEBAR is a novelty cocktail bar made of ice. 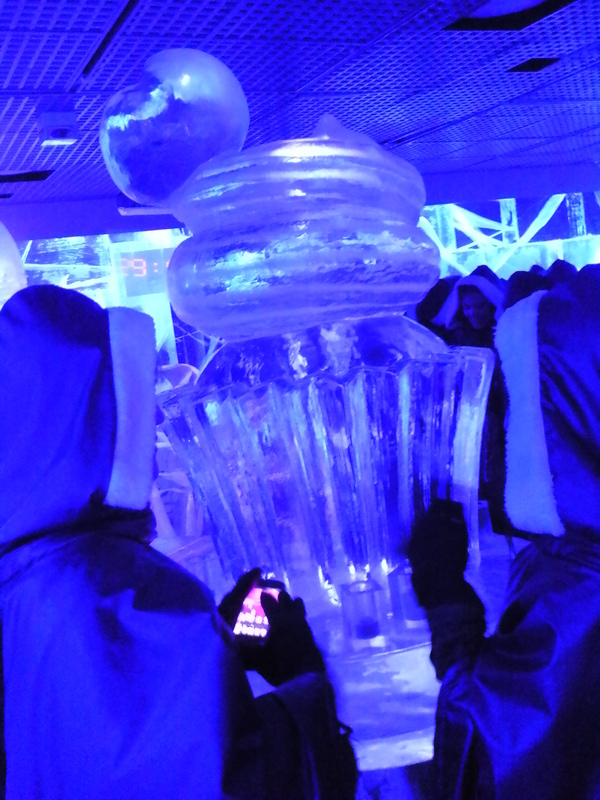 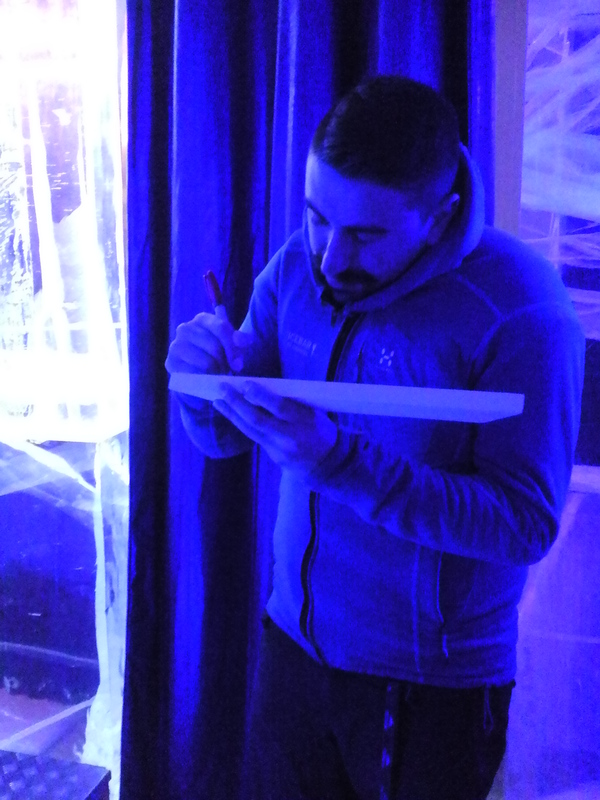 A session in ICEBAR lasts 40 minutes. 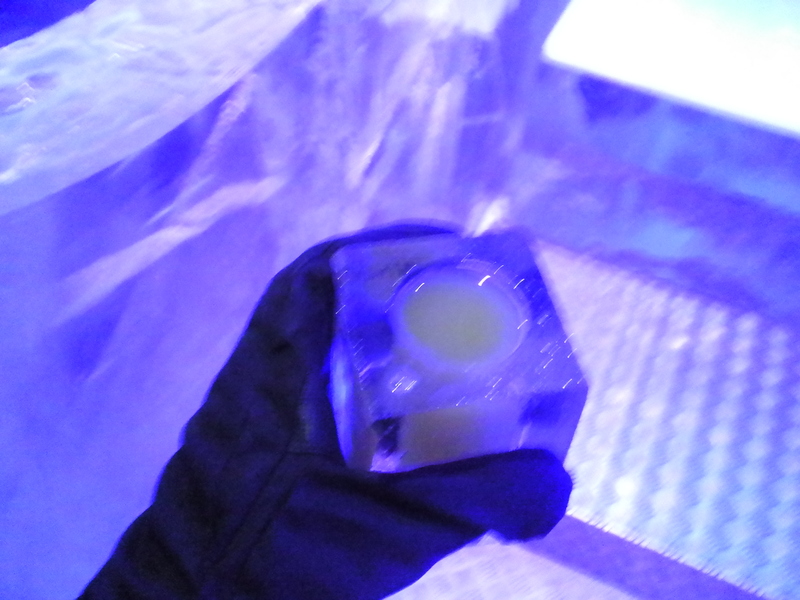 The admission price includes a cocktail in an ice-glass. 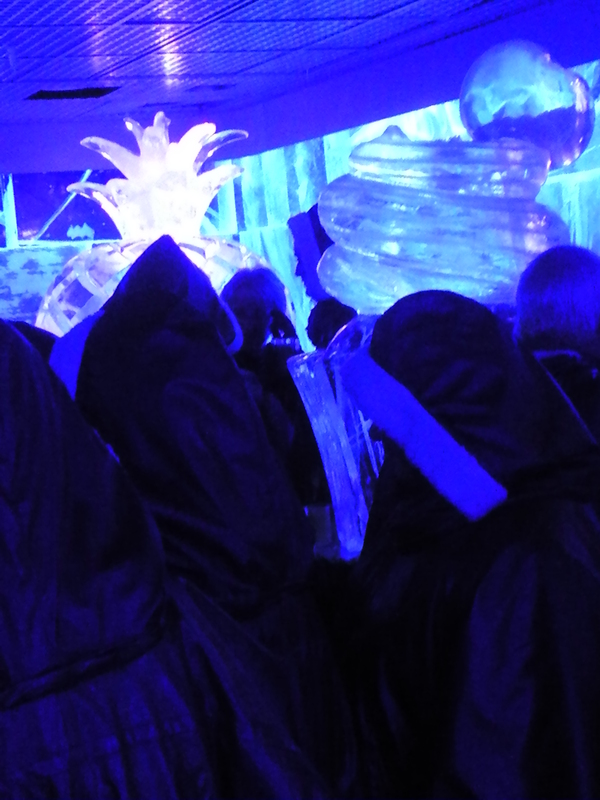 To prevent hypothermia, entrants are robed with a hooded, thermal cape and given gloves. 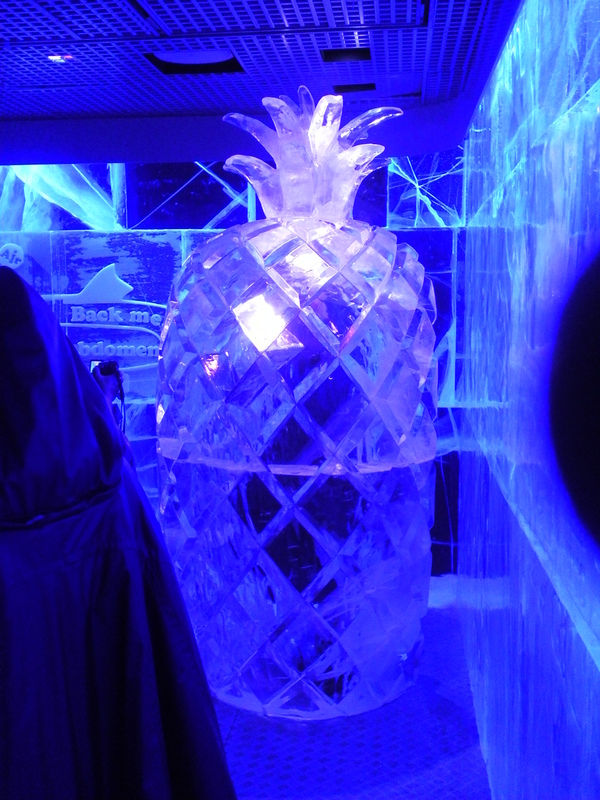 After getting a mango-flavoured cocktail at the bar, I wandered around the grotto; looked at ice pictures and cracks and waves in ice blocks, sat on ice stools, peeked through a window in an ice pineapple and sat in an ice car; while all around me hooded people took pictures and selfies. 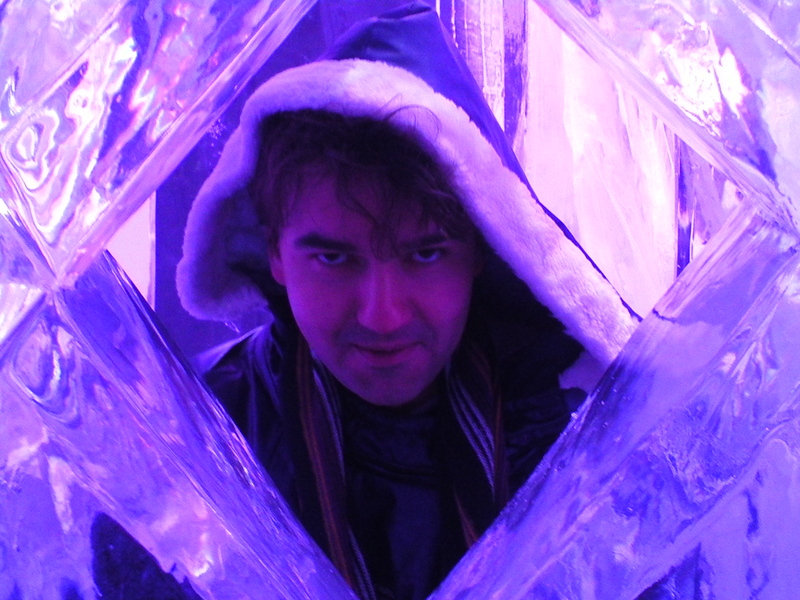 I explained about what I was doing to Roberto who provided the montage with an ICEBAR business card and then sent me to see anyone at the National Museum of Natural History (written on the frame as the National History Museum).